NR, utd. 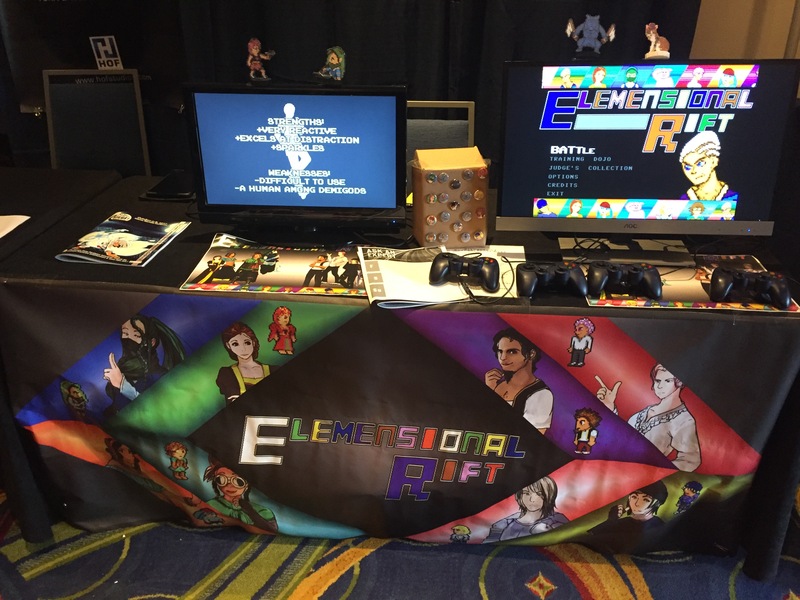 has completed a showcasing of Elemensional Rift at SIEGE 2017. For those not familiar with SIEGE, it is more of an expo than a convention, which means it has more of a focus on the industry than the public market. NR, utd. views that as a great to have for the long-term growth of it’s IPs as a public market offers advice in a very different way than industry experts offer advice. Together they make a great harmony for growth and that showed this year. If you want to read about Elemensional Rift at SIEGE last year, you can read about it here. Before going into the results of SIEGE 2017, here is a quick summary of all Elemensional Rift has been at this year. The night before SIEGE was a special pre-show put together by Atlanta Unity Developers to showcase what the Unity developers in the Atlanta region are working on. There were a little under 2 dozen games being showcased for all who showed up. It was a great chance to see a lot of the diversity and growing possibilities of the local developers. During SIEGE, Indie Cluster did a great job providing a great set up for developers to show what they were working on to various big names and expert game developers. Friday night also provided a great opportunity for the games being shown by Indie Cluster through the night to the various SIEGE attendees. There was a lot of excitement for Elemensional Rift with some really intense matches from some of the attendees. The hype from the players was quite contagious and some people had to wait to see all of the action that was going on. Saturday was extremely busy while the Indie Cluster area was open and that night, Elemensional Rift provided some extra gameplay time. Sunday, as expected from last year, was a calm and slow day. There was still a consistent flow of activity throughout the day though.